Nissan North America, Inc. (NNA), in collaboration with Sony Computer Entertainment America LLC (SCEA) and Polyphony Digital Inc., today announced the premiere of GT Academy USA, a reality show that takes 16 Gran Turismo 5 gamers and gives them a chance to become a professional race car driver. The program will be featured as a five-part reality series on SPEED TV beginning September 20. This is beyond your dream job. Can a video game develop the skills needed to become a professional racecar driver? 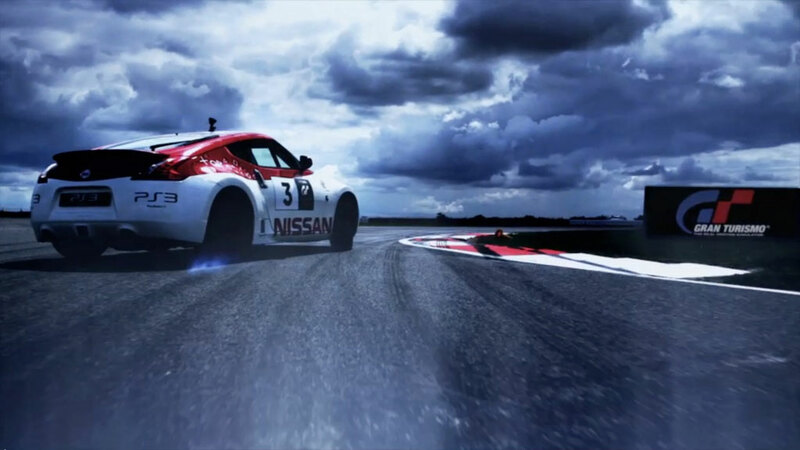 To find out, Nissan has brought America's fastest 16 out of nearly 54,000 Gran Turismo 5 gamers who participated in a National tournament and thrown them into a competition for a shot at becoming a motorsports professional. England's legendary Silverstone Circuit is the battleground for these contestants as they clash in challenges on and off the racetrack. Judging them along the way are some of the biggest names in motorsports: Danny Sullivan, Tommy Kendall and Liz Halliday. the first time. GT Academy USA was built and adapted to appeal to the local audience for racing and gaming, while maintaining the universality of its promise to take a fan’s dream of racing to another dimension. and gaming enthusiast sites and a custom Nissan site. To maximize excitement around the tournament we created a custom GT Academy USA driving tips and sign up process video. Nearly 54,000 registered to compete and tried to make it to the National Finals in Orlando, Florida, where they battled head-to-head across a three-day live event held from March 22-23, 2011. GT Academy’s top 16 players were sent to an intensive seven-day racing academy at the world-renowned Silverstone Racing Complex in England. Players endured a series of elimination rounds, mental and physical aptitude tests designed to determine the GT Academy USA Champion. Each finalist built their race knowledge and encountered automotive challenges that put them to the test. Contestants were eliminated throughout the week until a final winner was crowned the GT Academy USA winner of Season 1. The program will be featured as a five-part series on SPEED beginning Tuesday, September 20 at 10 p.m. EDT. The final payoff, the winner will become a Nissan-sponsored professional racecar driver who will join the European GT Academy winners - forming a four person team that will race the legendary 24-hour race in Dubai. The campaign was created in conjunction with Nissan, SCEA, Polyphony Digital Inc., OMD, TBWA\Chiat\Day Los Angeles, Critical Mass and Radical Media. GTA is being supported by multi-media including: TV campaign across multiple networks, video seeding and behavioral targeting and on sites such as Facebook and YouTube. In North America, Nissan's operations include automotive styling, design, engineering, consumer and corporate financing, sales and marketing, distribution and manufacturing. Nissan is dedicated to improving the environment under the Nissan Green Program 2010 and has been recognized as a 2010 and 2011 ENERGY STAR® Partner of the Year by the U.S. Environmental Protection Agency. More information about Nissan in North America and the complete line of Nissan and Infiniti vehicles can be found online at www.NissanUSA.com and www.Infiniti.com.